We're certainly festive on this blog of late, no? :) I have lots of other "life" stuff that I could share with you, but since today is a designated book club day, that will have to wait for tomorrow. A teaser: What was your Catholic Librarian doing at 2:30 am last night? It wasn't sleeping, I can tell you that. It involved muddy paste and possibly asbestos. Betcha can't wait! 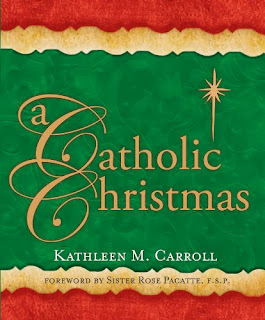 Ok, so our December book is A Catholic Christmas by Kathleen Carroll. I fetched this book from our public library and had it read in just a few days. A quick and easy read! 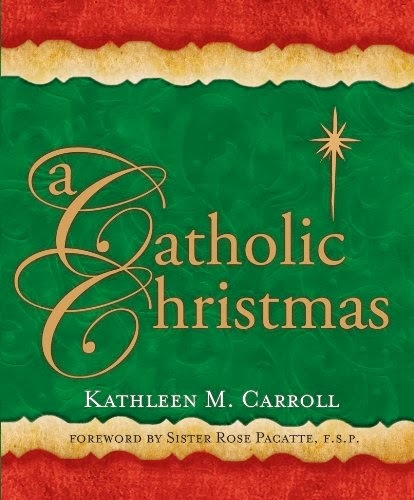 The title of this book doesn't fully describe what the content covers, since the author addresses both Advent AND Christmas feast days. She gives a significant amount of detail for each one, as well. We begin with the origins of Christmas, and how the date of December 25th as the celebration of the nativity came to be. I had heard drips and drabs about this phenomena in the past, but this information cleared up exactly how the date came to be settled on by the Church. Fascinating stuff. She also talks about the rhythms of the liturgical calendar generally and includes an interesting piece about how the system for calculating the date for Easter was established. Each chapter contains background information on the saint or occasion, and a discussion of how the feast is celebrated around the world. 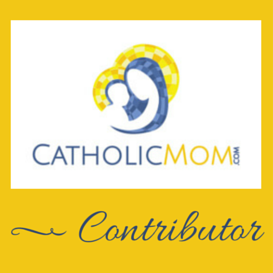 The author concludes with a few reflection questions and suggestions for incorporating the celebration into your home. This is a lovely little book, I enjoyed reading it very much. It's only $9.99 for Kindle, or look for a print copy at your local library! What did you think, dear reader? Has anyone else read this book and would like to comment? Comment away! Next month we are reading Walking With Mary: A Biblical Journey From Nazareth to the Cross, by Edward Sri. My sister and I received a copy of this book at the Catholic New Media Conference, and I thought it would be perfect for January since we celebrate the feast of Mary, Mother of God on New Years Day! Join in! You'll also notice that I've updated the Catholic Book Club sidebar on the right to reflect the books I'll be reading from January through March. If you see something that peaks your interest, join me please! I'd love to have you read along. Have a great rest of the day everyone! Talk to you tomorrow!